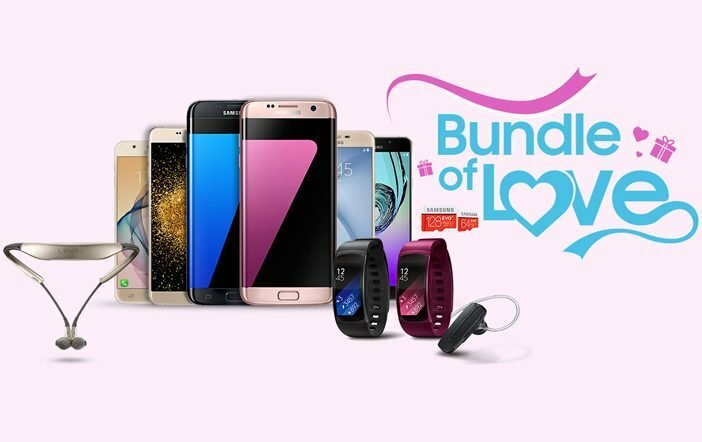 Samsung India is offering amazing deals and offers on the purchase of smartphones and Gear Fit 2 wearable on the occasion of Valentine’s Day. 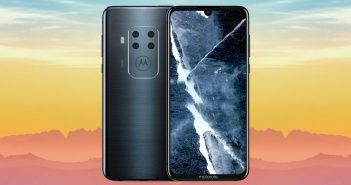 The company is offering various deals and discounts on its online store with the purchase of smartphones and wearables till February 15. 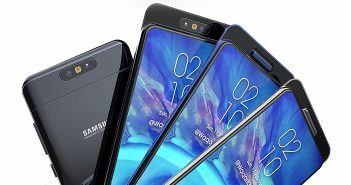 Under this offer, the smartphones like Samsung Galaxy A9 Pro, Galaxy A7 (2016), Galaxy J7 Prime, Galaxy On Nxt, and others are available with bundle offers. The Samsung Galaxy A9 Pro is available at a price of Rs 32,490 on the online store. When you buy it from the store, you can avail the bundled offer to get Samsung Evo+ 128GB microSDXC card for a price of Rs 19,00 (original cost Rs 3,539). To avail this offer, you’ll need to use the ‘A9128GB’ coupon code for getting the discount. If you want to buy the Samsung Galaxy A7 (2016) smartphone, you will get the Level U accessory for a price of Rs 900 (original price Rs 2,999). The handset is available for a price of Rs 25,900 and to avail this offer, you’ll have to use ‘A7LU’ code. Also, the Samsung Galaxy A5 (2016) is bundled with Samsung Evo+ 64GB microSDXC card. 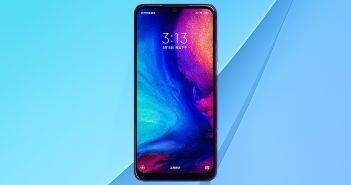 The smartphone is priced at Rs 21,900 and the memory card will just cost Rs 350 (original price Rs 1,439) when used ‘A564GB’ code. Similarly, with Samsung Galaxy On Nxt purchase, you can get the microSD card for Rs 250 by using the coupon code ‘ONX64GB’. The Galaxy J7 Prime smartphone is available with an offer of Samsung Bluetooth headset for Rs 650 (original price Rs 1,499). To get this offer, use coupon code ‘J7PBT’. Also, The Samsung Galaxy J5 Prime comes with the same offer where the buyers get the Bluetooth headset for Rs 750 (original price Rs 1,499) when ‘J5PBT’ code is presented. Lastly, Samsung Galaxy On8 smartphone also comes with Bluetooth headset offer for Rs 350 by using ‘ON8BT’ code. Apart from the smartphones, the Samsung Gear Fit 2 is also eligible for Valentine’s Day offer. The Gear Fit 2 wearable is available for Rs 9,990 after a discount of Rs 1,910 on the store when ‘DISCFIT2’ code is used. All these offers are available on the Samsung India’s official store until February 15 on First come first use basis still stock lasts.